Locationary and HotStop aquisitions: Apple's Maps strategy is working. 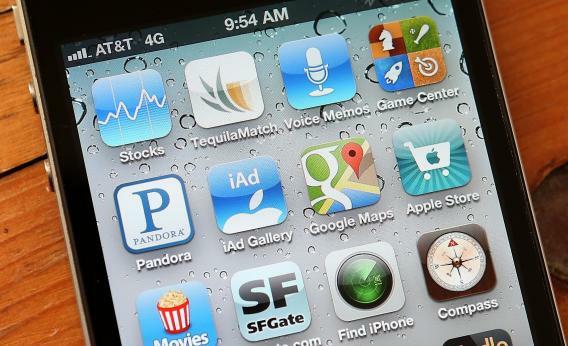 FAIRFAX, CA - DECEMBER 13: An icon for the Google Maps app is seen on an Apple iPhone 4S on December 13, 2012 in Fairfax, California. Apple made two smallish acquisitions of map-related companies last week, Locationary and HotStop, that have produce some sneering press coverage since clearly in both instances the purchase is in a way an admission that Apple’s Maps product continues to be markedly inferior to Google Maps. But I think that’s the wrong way to look at it. The purchase of these companies is a confirmation that Apple’s risky Maps strategy is continuing to pay dividends and in retrospect we’re going to look back at this early Tim Cook decision not as an embarassing fiasco but as a gutsy savvy move. Recall that the context is that before Apple launched its own iOS Maps app, Google Maps for iOS was already markedly inferior to Google Maps for Android. Not because Google was incapable of producing a great Google Maps app for iOS but because they didn’t want to make one. Now what Apple needs to do is keep iterating so that its Maps app keeps getting better. In Apple’s ideal world, mapping applications will at some point reach an era of sharply diminishing returns so that Apple and Google will reach maps parity. But an acceptable outcome is one in which Apple never catches Google in maps quality, but simply never allows Google to gain a large enough lead for it to become complacent about the quality of Google Maps for iOS. Apple’s continued ability to use its practically limitless cash reserves in order to iterate the maps platform shows that this is a viable strategy that so far is working.